Highest point is 7 1/2 feet tall. Sides are 4 feet and space in the middle is 6 feet. 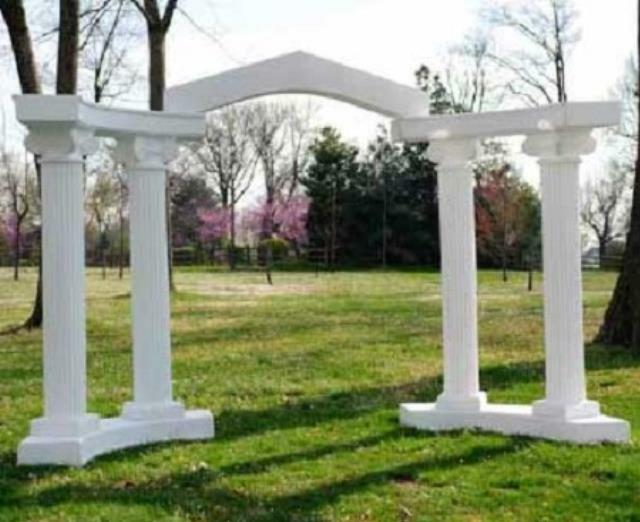 * Please call us with any questions about our arch colonade rentals in Mandeville LA and the surrounding parishes.